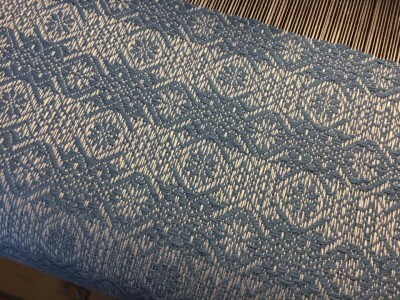 Download a copy of the full draft, threading, treadling, and tie-up for a twenty four shaft loom for Two Block 12 Shaft Twill . This draft does not require that you have weaving software. Draft file for 2 Blocl 12 Shaft Twill. Design can be woven with a single shuttle.